The fact is most athletes have careers that are relatively short. In boxing especially though, you are only as good as you’re last fight. If we go on that alone, Kelly Pavlik’s career was already on the canvas. However, it now looks like he’s quitting on his stool. Now he did manage to beat his last opponent Alfonso Lopez with an unimpressive victory on points. And since the fight was on the undercard of Manny Pacquiao and ‘Sugar’ Shane Mosley, he did manage to bank more then many fighters would make within a year or two span (Delvin Rodriguez and Pawel Wolak for example). That fight was Pavlik’s first fight since last April, where Sergio Martinez busted up Kelly Pavlik’s face until it was a bloody mess. A lot has been said since Pavlik withdrew from his fight with Darryl Cunningham last week. Words from both sides have been exchanged and Top Rank has chimed into the discussion as well. 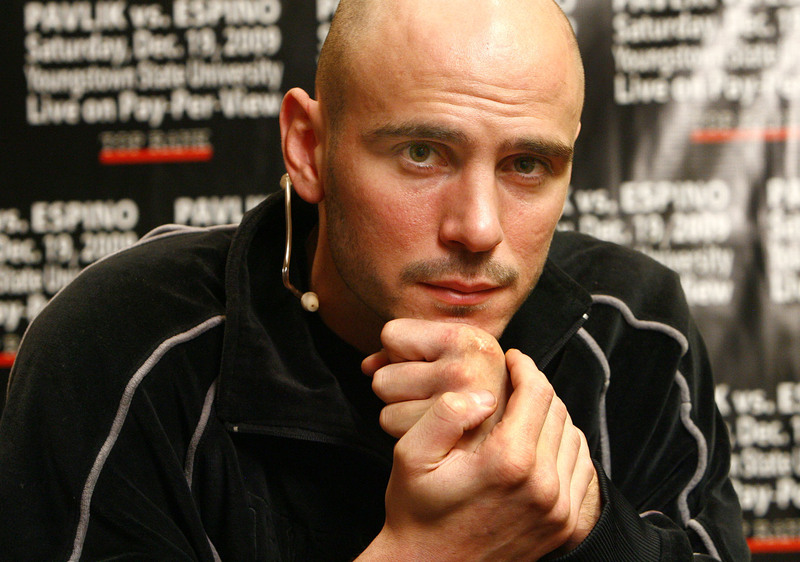 Pavlik has essentially said, "I won’t fight unless I’m paid what I’m worth." He has also said that he wasn’t going to go to Canada and fight a southpaw in Lucian Bute “for peanuts”. ‘Peanuts’ in this case was roughly $1.35 million dollars. "I've got my family to feed," was Sprewell’s response after he rejected a lucrative multi-million dollar contract with the Minnesota Timberwolves. Pavlik should have never made $270 000 for fighting Alfonso Lopez. If he wasn’t a Top Rank fighter to begin with, there is no way off a 13 month layoff that Pavlik would make that much fighting a fighter that no one had even heard of. Kelly had been given numerous chances to resurrect his career following his one-sided beat down given by then 43 year old Bernard Hopkins. Realistically, Kelly hasn’t had a solid win since his unanimous decision victory over Jermain Taylor. Pavlik has already stated that it was time for him to take control in his life and in his career. The problem is there doesn’t look to be much of a career to take control of now. On a bigger note, even though Pavlik had been in the Betty Ford clinic for his problem with alcohol, we really don’t how well Pavlik has recovered since he checked in. There was the story that he was in a brawl with his brother and many, his brother included, said that the two were drinking before a fight broke out. That’s kind of a no-no when you just came out of the Betty Ford Center. Regardless of whether this rumour is true or not, we have heard of numerous boxers who had their time in the limelight, had a good life and then had their life crashing down due to ill-advised spending, drugs, alcohol, or a bad combination of the three. The late Arturo Gatti couldn’t accustom to life outside the ring many thought, and that may have led to him having an extra drink a little too often. Kelly Pavlik may have permanently thrown that opportunity out the window. The opportunity to box and do the thing that a former foe in Bernard Hopkins has done time and time again. The chance to revive his career and make a comeback to the top.